Kids, especially little boys are fond of toy guns. For almost every boy, they have memories role-playing to be cops, cowboys, soldiers or even robbers. Their love for toy firearms can be compared to how little girls love dolls. Thinking of buying a toy firearm for your little boy? It is worth knowing the number of models that are available on the market so that you can make the right selection. There are so many different types of toy firearm models that kids would love. 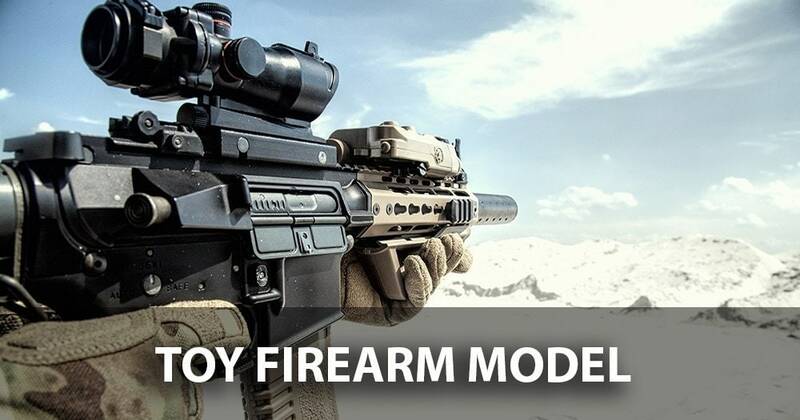 I have provided a detailed review of these toy firearms models that you should know. Go through the guide and I’m sure you will find the best model that suits your little one. These are perfect firearm models for kids who are above 16 years old and like guns. The guns fire some low-velocity plastic bullets but they are not lethal. Your kids can play airsoft outside with these guns. They are great because they promote outdoor play which keeps your kids active. Just make sure that your kids have the right gear and safety goggles to protect themselves when playing. These are guns that utilize air pressure system. The guns are perfect for older kids so do not buy them for small kids because they can be lethal to them. These guns are great for playing games like armies. Water pistols allow kids to shoot at each other and they are completely safe. These pistols have been there for many years. Even if you find a high-powered water gun, they are completely safe and cannot cause harm to your kids. Water guns are ideal for kids who are fond of playing outside. They are great for use during the summer. These guns come in different types and they allow kids to enjoy playing with water. In fact, even adults love playing with water guns during parties and other events. You can buy a water gun to encourage your kids to spend more hours outside playing with water. These are guns that fire bullets far and kids love to see the bullets whizzing through the air. The guns are capable of shooting darts at different ranges and they have more power to shoot darts at a far distance. These are toy guns that are common today among kids. When using these guns, kids need to use items like bulletproof vest and helmets for protection. The game is interesting when there are many players who can play the role of cops and thief. These are great guns that make a loud noise and some kids love them for that. These guns resemble normal guns and this has brought about some strict laws regarding their production. If your kids love real role-playing, these are the best guns to buy them. They produce sound and smoke that kids of all ages love but they are harmless. Do your kids love to play robbers and cops? If so, they will enjoy using swat guns. These guns are perfect accessories for people who want to enjoy full action outdoors. This is another type of toy firearm that boys love. Kids can enjoy the shootout game where the cowboy is equipped with a pistol and the Indians have a bow and arrow for firing back. These are guns that have been there for many years and they are mainly comprised of wooden parts. They resemble rifles that were commonly used in the 2nd world war. Some of the guns have arms with plastic parts which are painted to resemble real wood. If you are looking for an amazing way to surprise your kids on their birthday, these guns can make a great present. If your kids are fun of the military, then they will enjoy using these guns. This is a gun that is commonly used by Special Forces and the army and kids love playing with them because they feel like real militants. If you are buying the gun for a 12 year or older kids, some of them have bullets that can fire at a long distance without causing any harm provided you give it to a child with an appropriate age. Kids love to play using toy guns and this promotes a healthy lifestyle. Spending many hours outdoor playing with guns create lifetime memories. If you were wondering the models of toy firearms that you can buy for your kids, the above are some of the top toy guns that you can buy for your kids. You can surprise your kids on their birthday with any of the above toy firearms and they will love playing with them. Compare the toy firearms covered above and buy them here depending on the one your kids will love.